A new film, “Naila and the Uprising” tells the story of the Palestinian women who led the First Intifada, only to be cut out of the peace process by their own leaders. 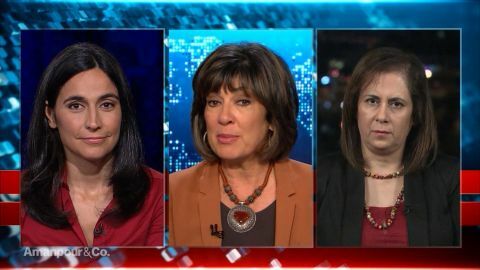 Filmmaker Julia Bacha and an activist in the First Intifada, Rula Salameh, join the program to discuss the feminist revolution that flourished in that protest. Let's talk about Naila and the Uprising because it really brings up so many issues that go way beyond politics and really deserve being remembered at this time. So first let me ask you Julia you chose to make this film through the eyes of a woman who had a small son husband family at that time and who actually her interviews now are with her son sitting beside her. Why did you choose that vehicle. We wanted to tell the story of what happened during the first intifada in the late 80s to the story of the people who had been written out of that history as so often unfortunately it happens in protest movements where women played leading roles in organizing at a grassroots level at the civil rights movement here in the United States or other places historically. And then when you tell the story of those movements you actually celebrate the men and you don't give the credit to the women who actually often pay the highest price in those movement. You Know it's interesting to use words celebrate. I'm going to ask you Rula because this is actually key to understanding the whole Israeli Palestinian conflict. It's not necessarily just celebrating the man although many of them are celebrated. But it's the narrative that gets focused on the Armed Man the militant you know instead of on whoever the women the children the unarmed men who actually have a human story and human resistance. How does that sound to you. Most of the women and men that we interviewed and we met with even before the film they were talking about how women were leading the community. And where they're on on the frontlines and they were doing really amazing job during the first intifada. And what was really interesting the story is the personal story is that women were bringing and cheering and talking about. Most of them are women and men that we interviewed. They were talking about stories that we never even in my community hear about how they were active inside the house or outside the house with men in the street trying to be part of the struggle against the occupation and failing to work together next to men. And nobody really highlight these Todas even in my community. And your community of course is the Palestinian community. And I just want to just sort of describe what some have said that this film. And the resistance the first intifada was almost like a double whammy. It was Palestinians against Israeli occupation but it was also women against male patriarchy. And it looks certainly from a lot of the things you know the women who you interviewed even the men they say is kind of an opportunity for equality. 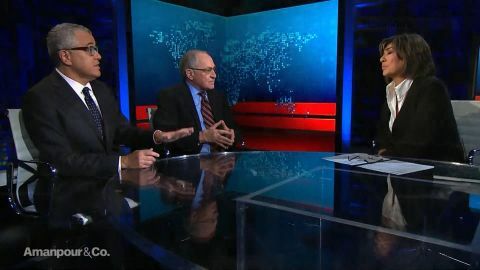 Christiane Amanpour interviews Jeffrey Toobin, Staff Writer at the New Yorker and legal analyst Alan Dershowitz, Harvard Law Professor and civil liberties lawyer; and Julia Bacha, filmmaker & Rula Salameh, activist in the First Intifada. 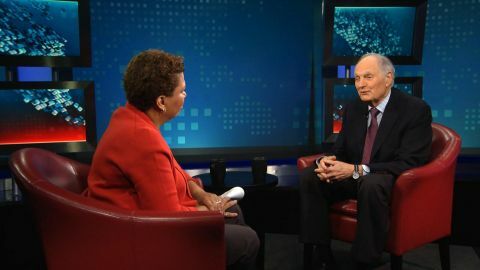 Michel Martin interviews Alan Alda, actor.